A cucumber Salmonella outbreak that has sickened 838 people in 38 states was the largest multistate food poisoning outbreak of 2015. The outbreak, which began in July, is still ongoing but has tapered off since reaching its peak in August. One hundred and sixty five people were so sick they required hospitalization Four of them died. About 50 percent of all of case patients were children under 18. The Centers for Disease Control and Prevention (CDC) and the U.S. Food and Drug Administration (FDA) have identified cucumbers imported from Mexico and distributed by Andrew & Williamson Fresh Produce. Two cucumber recalls have been issued. The first, on September 4, 2015, by Andrew & Williamson Fresh Produce for cucumbers sold under the “Limited Edition” brand label during the period from August 1, 2015 through September 3, 2015. The second on September 11, 2015 by Custom Produce Sales for all cucumbers sold under the Fat Boy label starting August 1, 2015. Those unlabeled cucumbers, which were sold in Nevada, were sent to Custom Produce Sales from Andrew & Williamson. The recalled cucumbers, dark green in color, between 7 and 10 inches long were sold unlabeled in bulk displays at grocery stores. 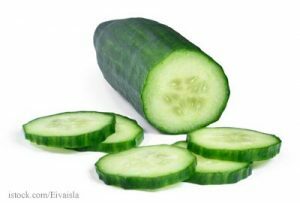 A complete list of retailers that sold the recalled cucumbers was not provided by health officials. But Walmart, Winco, Food 4 Less, Ralphs, and Savemart stores all carried them and removed them from stores after the recalls. Some of the recalled cucumbers were also served at restaurants including Red Lobster locations in Minnesota where a lawsuit was filed on behalf of a customer by a national food safety law firm. The case patients, who range in age from from less than 1 year to 99, reported onset of illness dates ranging from July 3, 2015 to September 29, 2015. About 42 percent of all the cases were reported from Arizona, and California. Utah, Wisconsin and Minnesota were also hard hit. By state, the case count is as follows: Alabama (1), Alaska (17), Arizona (129), Arkansas (13), California (232), Colorado (19), Connecticut (1), Florida (1), Hawaii (1), Idaho (24), Illinois (9), Indiana (5), Iowa (7), Kansas (2), Kentucky (1), Louisiana (5), Maryland (1), Minnesota (40), Missouri (14), Montana (16), Nebraska (8), Nevada (16), New Hampshire (1), New Mexico (32), New York (6), North Dakota (8), Ohio (3), Oklahoma (13), Oregon (22), Pennsylvania (2), South Carolina (10), South Dakota (3), Texas (42), Utah (58), Virginia (1), Washington (25), Wisconsin (43), and Wyoming (7). Symptoms of a Salmonella infection include fever, chills, muscle aches, headache, abdominal cramps, nausea, vomiting, and diarrhea that may be bloody. Those most at risk for Salmonella poisoning are children, senior and those with compromised immune systems. These groups are also at elevated risk for severe complications of infections. After initial symptoms resolve, long term complications are possible including reactive arthritis, which causes eye irritation and painful swelling of the joints; irritable bowel syndrome, and heart problems. Anyone with symptoms of an infections should see a doctor.